Blubrry spent last week at Podcast Movement 2016 in Chicago, where CEO Todd Cochrane gave a talk on overall metrics and what our recent study of where and how listeners are tuning in to podcasts tells us about our listeners, the platforms they use, and how to engage audiences in 2016 and beyond. In Part 1 of this two-part series, Todd Cochrane shares how to increase engagement to turn casual listeners into fans and keep fans coming back for more. 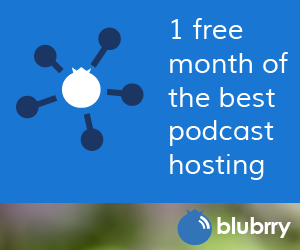 Only 21% of podcasters regularly shared an email address on their show. Just 32% talked about social media. 79% had no RSS options on their podcast’s website. Remember that without an RSS address, many of the 120 total devices that could potentially play your podcast won’t be able to! And only 61% shared the web address where the podcast and associated show notes can be found. That’s leaving a lot of potential engagement on the table! Time and time again, experienced podcasters at Blubrry and beyond have found that making an “ask” of your listeners – and making it easy for them to find you, connect with you, and talk back to you – are key to getting those ratings, reviews, comments and emails that increase traffic and let us know we’re doing a good job. Remind listeners what to do (and make it easy.) Near the end of your show, tell your audience to subscribe, leave ratings and reviews, share on social, and/or send email, and – here’s the key – make it easy for them to do any of those things by following tip #1! Subscribe buttons, social share buttons, and your email contact are essential components of an engagement-friendly podcast website. Thank your audience. One of the best ways to keep your audience coming back for more is to routinely thank them – something not nearly enough podcasters do regularly, Cochrane argues. While a simple verbal “thank you” is a great start, consider getting creative and taking it a step further. Special giveaways, answering listener questions, or calling out loyal readers on-air are all great ways to raise the bar and create a stronger relationship between you and your listeners. What are your favorite ways to engage your listeners? What do you find works best? Thanks for this great post and the helpful tips! I think especially #2 is extremely important! You should make it as easy as possible for your readers to find you on social media, so they can follow you. Besides, I think it’s important to exactly tell you readers what your podcast is about and how it can help them. Also take some time choosing a good title for your podcast. If you keep doing what you’ve always done, you’ll always get what you always got. The tip to make it easy for listeners, clients, customers, et. al, is spot on! This is really great info. Great work guys. I think that mentioning loyal listeners is a very powerful tool. Yesterday , I was listening to a podcast that I know does very well in the region I live in and actually inspired me to start recording. They talked about emailing them, but they didn’t do a strong job of presenting their email. Then when they actually did read a listener email, they did not say even the person’s first name. Obviously, not everyone may want their name shared (especially depending on the subject matter), but this seasoned podcast missed the opportunity to give a nod to a listener who had obviously helped them out with content.